-Enjoy over 60 levels of a unique blend of physics and Match-3 gameplay! -Collect 7 awesome power-ups, like the Bomb Pearl, the Lightning Pearl, or the Ghost Pearl! -Includes bonus challenge levels, mini-games, and Zen Mode with unlimited replayability! 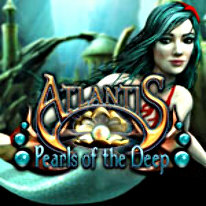 -Find all the Power Crystals and save Atlantis from disaster once again!